You’ve decided to commit to the adoption process, so you’ve met with a few agencies and potential birth parents. You’ve liked a few of them, but you aren’t sure whether you’re making the right decision. If you’re having doubts or want to make sure you’re following every law in the state of California properly, then it might be in your best interest to hire a family lawyer. A family lawyer will help give you the reassurance you need to follow through with the adoption process. In addition to giving you the reassurance you need to add another member to your burgeoning family, a family lawyer will make sure you’re able to take advantage of the adoption options. A family lawyer can be the first person you go to during your adoption process to help you figure out if this is the right step for you. You can go to adoption agencies or meet potential birth parents, but if you want all of your questions and concerns addressed, meeting with a family lawyer is your best option. A family lawyer can help you achieve the legal guardianship for a child that isn’t yours biologically. By helping you follow the adoption laws and legislation in the state of California, a family lawyer will make sure your adoption is 100 percent legal. A family lawyer will aid you in finding an agency you fit well with, help you file any necessary paperwork, cut down on the number of legal hoops you have to jump through, and represent you if need be in a court of law. There are a few reasons to hire a family lawyer during the legal process of adoption. Not only will a family lawyer make sure the process is legal, but they can also help you avoid any future complications with the process as well as ensure you abide the adoption laws in the state of California. Future complications can come up if you don’t take the time to hire a family lawyer to protect your new family. Future complications may mean the birth parents wanting the child back, medical conditions may arise, or the birth parents going back on an agreement such as not having any contact with the child once he or she is born. When you hire a family lawyer from the start, you’ll be able to minimize any of these potential complications. A family lawyer will help you abide by the laws of California when it comes to adoption. Adoption is generally state controlled and a family lawyer will help you understand the different laws in the state of California for adoption to ensure each facet is addressed. There are several different types of adoptions, so a family lawyer is also able to go through each option to find out what’s best for you. A family lawyer will help match you with the best birth parents for your family. When you decide to pick a family lawyer, you’re able to have the freedom to pick the birth parents you want. In addition, you won’t have to go through the lengthy waiting periods other parents might be going through. By hiring a family lawyer, you’ll be able to have the right to pick and choose the family you want. 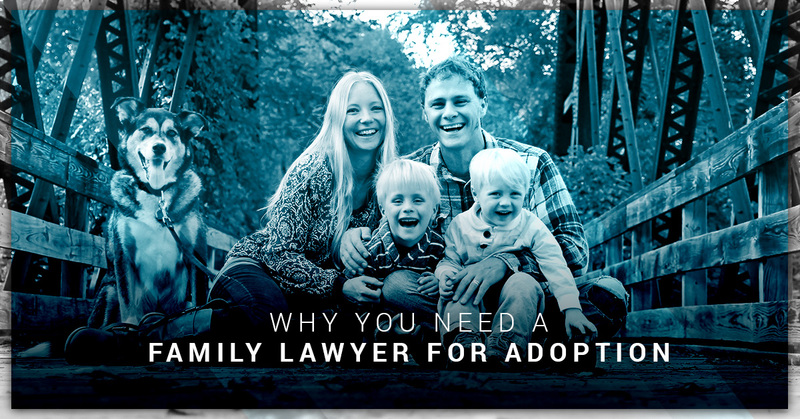 To hire a family lawyer who has your best interests in mind, Lopez & Wilmert, LLP will aid you in giving you the information you need to make an executive decision on your adoption journey.